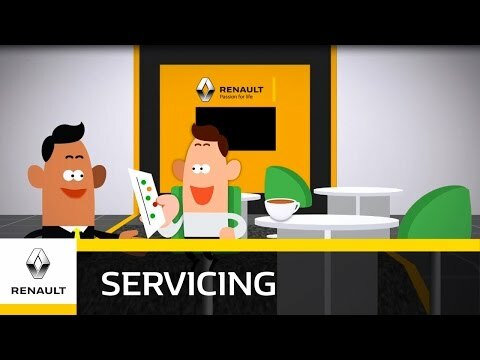 Every car and van which our trained Renault and Dacia Technicians work on in our fully equipped workshops in Ayr, Irvine East Kilbride, Coatbridge, Motherwell and Dunfermline receives a complimentary Vehicle Health Check. We do this to make sure you have total peace of mind on the condition of your vehicle and can plan vehicle maintenance ahead of when it becomes necessary. We often work on cars where a identifying small repair early on might have saved a more costly expense – or even breakdown. Many of the components in a vehicle work in a system, such as brakes, where the failure of one part could lead to the failure or poor performance in another later on. A CITNOW video is then sent to you show you the outcome and offer advice on what to do next. Red items are an immediate safety concern such as brakes, tyres, wipers, lights and other items which would usually class as an MOT failure or safety concern. Amber items will need attention before the next Service or MOT, but are not an immediate safety concern. Green items are working as they should and will not need attention before the next Service or MOT.